So far airlines have said it is too soon to estimate the impact of the Max grounding beyond the first quarter, but the extended cancellations signal that they do not expect a quick return of Boeing’s fast-selling jetliner. 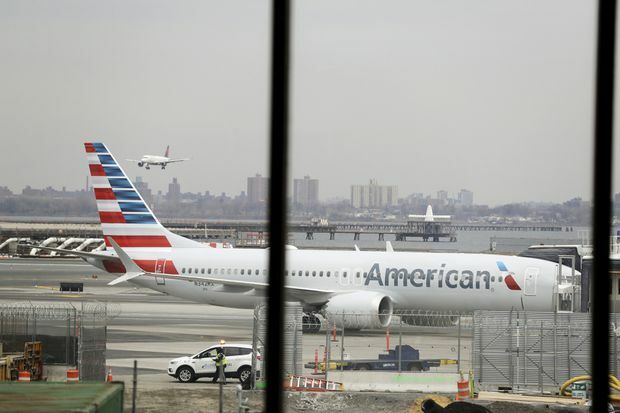 Southwest Airlines Co., the world’s largest Max operator, and American Airlines Group Inc. -- with 34 and 24 Max jetliners respectively -- have removed the aircraft from their flying schedules into August. Southwest’s decision will lead to 160 cancellations of some 4,200 daily flights between June 8 and Aug. 5, while American’s removal through Aug. 19 means about 115 daily cancellations, or 1.5 per cent of its summer flying schedule each day. Low-cost carrier Southwest, which unlike its rivals only flies Boeing 737s, had estimated US$150-million in lost revenue between Feb. 20 and March 31 alone due to Max cancellations and other factors. A decline in seat capacity could mean higher last-minute summer fares, particularly for business-class travellers, aviation consultants and analysts said. United Airlines, with 14 Max jets, has largely avoided cancellations by servicing Max routes with larger 777 or 787 aircraft, but airline president Scott Kirby warned last week that the strategy was costing it money and could not go on forever.